With 3 main policies detailed in the 2014 Budget set to be put into effect between January 2014 and April 2015, the Malaysia property market is set to deal with an array of changes. This is mainly to curb excessive speculation and help to solve affordability issues besetting the housing market. The budget promotes properties as a long-term investment, and not something to be flipped to make short-term gains.It show efforts from Malaysia government to make sure the property market to continue to stay resilient: with current influx of foreign investment. -No of years calculated base on SPA signing date. -Rate to pay base on current rate when properties is sold. Property sold within the initial 3 years of acquisition will go through Capital gains tax of 30%. Subsequently, the fourth years will be 20% and fifth years 15%. 0% will follow through the 6 years onwards. Property sold within the initial 3 years of acquisition will go through Capital gains tax of 30%. Subsequently, the fourth years will be 20% and fifth years 15%. 5% will follow through the 6 years onwards. Property developers are prohibited from implementing projects that have features of Developer Interest Bearing Scheme (DIBS), to prevent developers from incorporating interest rates on loans in house prices during the construction period. Therefore, financial institutions are also prohibited from providing final funding for projects involved in the DIBS scheme. 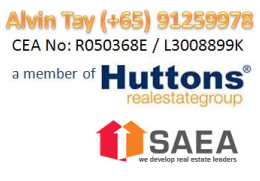 *Disclaimer: Information is compiled by UrpropertySg (Alvin Tay @ +65-91259978). UrPropertysg does not guarantee the accuracy, timeliness or reliability of the information and pictures within the site. UrpropertySg shall not be responsible for any liability arising from reliance of any information or use of this site for dealings with any third party.